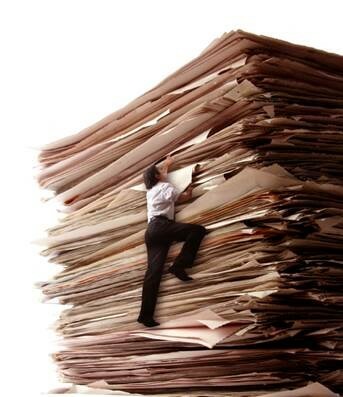 Instead of trying to reach the summit of your paper mountain…let us help you turn the paper mountain into a valley. Let's assume you could eliminate that paper and have it classified, relevant information extracted for use, make it easily searchable, and then file it seamlessly into your downstream application in the correct location for easy reference. What would be gained from this process? 1. Security - If you have a paper problem and a regulatory agency asked you "how can you be sure that PHI is not escaping your walls?" what would your answer be? No matter how you answer that question to them, the hard truth is that you are not sure. With the Extract platform you can answer this question confidently because the documents are stored behind your firewall. 2. Searchability - If a nurse or doctor came to your team who processes faxes and scans and asked "have you received the lab result and MRI report for patient X yet?" how would you provide an answer? You would dig through the stack of paper looking for faxes in regards to that patient. And even if you don't find it, can you be sure that someone else didn't already process it? With our platform, every document is searchable from the moment it hits our queue. 3. Save Time - Having the important information pulled from the document and displayed in an intuitive end user application for quick, painless review saves time in a variety of ways. Document classification - we use Machine Learning and other tools to determine the type of document with a very high degree of confidence. This makes the document types being stored in your EMR more efficient, consistent, and far more accurate. No patient lookup - we find your patient's MRN based on patient demographics found in the document. Link to orders, encounters, procedures, components - we integrate with your EMR to make selecting existing encounters and orders OR creating them on the fly, extremely easy and intuitive. 4. Save Money - Time = Money. But not just the time spent by your data entry staff. Clinicians will have access to what they need, when they need it. 6. Save Paper - Whether you're an environmentalist or not, everyone can get behind something that saves them money AND is good for the environment and reduces time investment (purchase paper, deliver paper, load paper, printer jams, etc.). Stop waiting for all of the buzz acronyms like FHIR and HIE to be your Sherpa up this paper mountain. We can alleviate your paper problem today. Older PostCyberattacks happen in your Healthcare databases too.